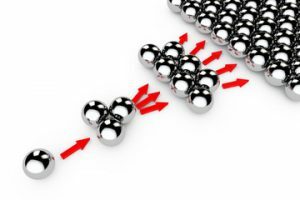 THE IMPORTANCE OF DUPLICATION IN NETWORK MARKETING. 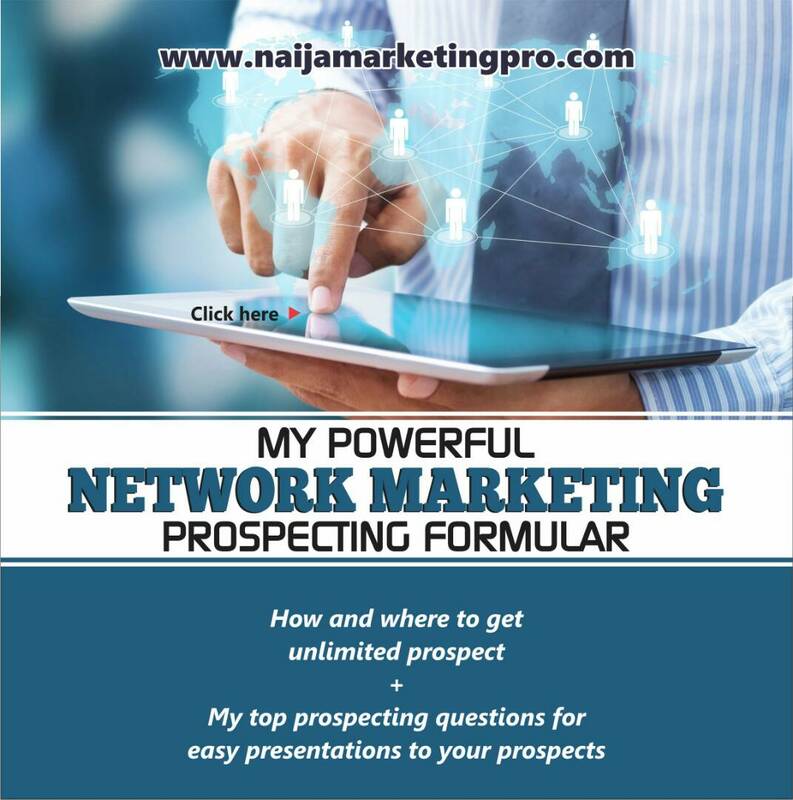 Home » Network Marketing » THE IMPORTANCE OF DUPLICATION IN NETWORK MARKETING. 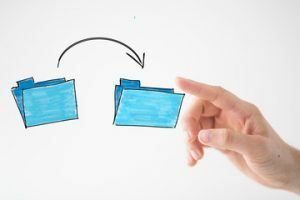 So, how can a duplicatable system help you become successful? You’ve heard it before that duplication in network marketing is the key to success in your business. When you are putting together your strategies and your daily method of operation, it is very important to not only do what will work, but what will duplicate. This is a story illustrated by Eric Worre, It’s like spinning plates on a stick. You can get 5 plates spinning. And when one of them starts to wobble because they need your help with finding prospects or closing, then you can give them some attention and keep their plate spinning. Some of your plates might need more work than others, but you still have to work to make sure all of your plates are spinning well. Then, those 5 plates recruit 5 plates each. Your 5 original plates can’t even keep themselves spinning, so who do you think they’re going to ask to keep the 5 plates they’ve recruited spinning? You! Suddenly, you have 30 plates that you are trying to keep spinning. You have to drag them out of bed and tell them when to work and how to work. It’s exhausting! You can’t keep up with everything, and more and more of your plates begin to wobble until you just give up on them and they begin to crash. It’s important to have a duplicatable system in your network marketing business. 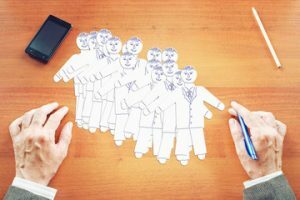 There are some important factors that will help you create large organizations, help you build a business that will last, and, build something that in essence can continue to grow with – or – without you. If you are to create duplication in network marketing, first and foremost you want to keep things simple. 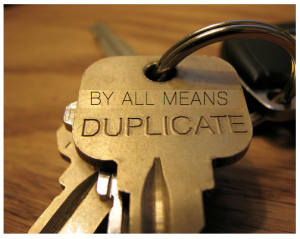 Here’s a good frame of reference, people are not duplicatable – but systems are. The better you are at either using existing systems, or creating systems, the more profitable your business will be. Systems should be so simple that a teenager should be able to learn it, implement it and teach it. The better your systems, the better chance of creating duplication in network marketing. Below is a 3 step system that will help. 1) USE THE PRODUCTS – Don’t just sell and focus on the money, use the products. As it was told by Zig Ziglar the famous motivational speaker who started his career in cookware. He was the number one salesman for his company. One of the others in the company, not nearly as successful, invited Zig to his home for dinner, and some advice. He actually cooked Zig dinner on a competitors cookware. Zig confronted his host and the man said he couldn’t afford it. HA! Then Zig asked him that how could he expect others to buy it from him? Zig taught him a good lesson and our host became a top seller. 2) SHARE THE STORY – We get paid for sharing a good story. As the popular saying, stories sell facts tell. Share your company story, share your story, share your upline or any other person’s story. Share rag to riches story… Keep sharing these stories and teach your team mates how they can do such. People buy more of your stories than pitching them salesy copies. 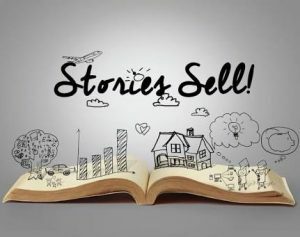 How many times today did you tell your company story. The only answer is a number. Every day, every day – track how many times you show your company to someone. 3) USE THE TOOLS – Don’t play amateurish, use a tool. Act as the messenger and not the message. In fact, you are the messenger. Point them to a tool. Use the tool and teach your team mates how they can use same tools. This is so very important. A lot of new people (and even seasoned professionals) think they don’t need to use the tools. They get confident in their ability, they cut corners, and they ultimately self sabotage. They tend to work harder, instead of smarter. The success of a person can be measured by helping other people to solve their problems. This means that when you sell someone an opportunity, you are technically giving them another problem. But, if you sell them a system, this will help them to solve their problems. Product and comp plans are not what will make your successful. It will be a system that does. It must be a complete MLM system, that includes all the parts you need. These parts will assist you in bringing in the customers, through ads for example, and helping to sell them your product through marketing. Finally, you’ll deliver the goods. A great network marketing system will do all the work for you. All you have to do is push the buttons, and wait to reap the rewards. So, head out there right now and sell them a system that will give your customers/clients a profitable result! Now they won’t care about those products, prices, testimonials, company, or anything of lesser importance. If you invested in a skill, take it a step further and be open to teaching it too. Creating duplication system for others is the #1 most influential thing you can do in network marketing. « HOW TO BECOME A GREAT INFLUENCER IN NETWORK MARKETING.